Rio Olympics gold medallist Helen Maroulis and Harphool won their bouts in contrasting fashion as Haryana Hammers kicked off their PWL campaign in style by beating new entrants Veer Marathas 5-2 on Wednesday. Rio Olympics gold medallist Helen Maroulis and Harphool won their bouts in contrasting fashion as Haryana Hammers kicked off their PWL campaign in style by beating new entrants Veer Marathas 5-2 on Wednesday. Maroulis and Harphool won the fifth and sixth bouts respectively to give runners-up of he last edition an invincible 4-2 lead. Khetik Tsabolov then rounded up the tie 5-2, overcoming Parveen Rana 10-0 in the last match. In the high-profile clash of the day, Helen took on Rio Olympics Bronze medalist Marwa Amri of Tunisia in the women's 57 kg competition. It turned out to be a lopsided affair, with the US wrestler completely dominating her opponent to win the bout 9-1 by pinfall. The fifth bout of the day between Amit Dhankar and Harphool in the 65 kg turned out to be the most exciting duel of the night. 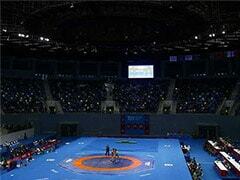 Both the wrestlers were at the top of the game and ended the bout 5-5. However, it was Harphool who was adjudged the winner by virtue of winning the last point of the bout. Haryana were on top right from the onset and blocked the dangerous Levan Berianidze of Armenia in the 125 kg after they won the toss. 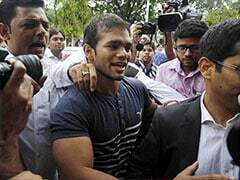 Marathas in turn took Rio Olympics bronze medalist Sun Yanan of China out of the equation.? ?Sarita restored parity for Hammers mid-way into the tie with a hard-fought 4-3 win over Manju. Manju did well in the opening period and warded off a strong attack from Sarita to concede just a solitary point. ? 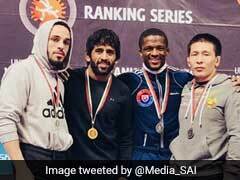 She was water-tight in her defence in the second round as well but the 2017 Asian Championship silver medalist did just enough to seal the match 4-3 in the 62 kg competition. 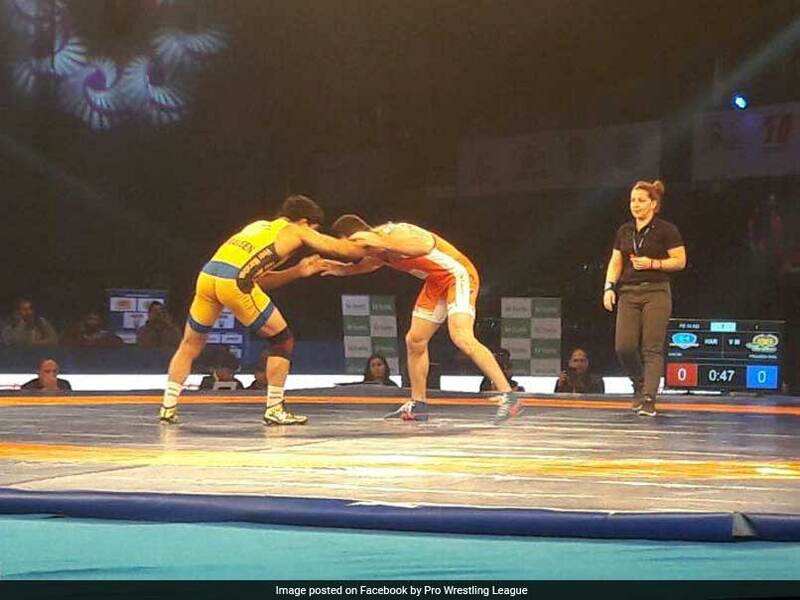 Marathas asserted their further in the tie with Georgi Ketoev of Armenia completely annihilating India's Roublejit Singh Rangi 16-0 by technical superiority in the 92 kg weight category to go 2-1 up in the tie. 2017 World Championship silver medalist Vasilisia Marzaulik of Belarus and ICON player of the Marathas brought her team back into the tournament after she pinned India's Pooja to win the match 8-0 in the 76 kg in the opening period of the bout itself.The Indian was no match for the Armenian and could hardly mount any challenge and went down meekly to wipe her team's advantage. Earlier in the opener of the day, 2017 World Championship bronze medalist Vladimir Khinchegashvili beat India's Shravan 7-3 to log in the first point for the Hammers.